Vigo, the biggest city in the northwest of Spain with one of the most important fresh fish ports worldwide, is hosting the MARTEC Conference. The Institute of Marine Research (IIM) of the CSIC will be the institution in charge of the congress organization, in collaboration with the Technological Center of Sea (CETMAR) and with the support of all partners of LIFE iSEAS (IEO, CESGA, USC, JOSMAR, OPROMAR). The venue will be the Auditorio Afundación. 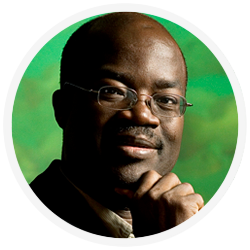 Dr. Ussif Rashid Sumaila is Professor and Director of the Fisheries Economics Research Unit at UBC Fisheries Centre in Canada. He specializes in bioeconomics, marine ecosystem valuation and the analysis of global issues such as fisheries subsidies, IUU (illegal, unreported and unregulated) fishing and the economics of high and deep seas fisheries. Sumaila has experience working in fisheries and natural resource projects in Norway, Canada and the North Atlantic region, Namibia and the Southern African region, Ghana and the West African region and Hong Kong and the South China Sea. He has published articles in several journals including, Journal of Environmental Economics and Management, Journal of Bioeconomics, Land Economics, ICES Journal of Marine Science, Environmental and Resource Economics and Ecological Economics. Sumaila’s work has generated a great deal of interest, and has been cited by, among others, the Economist, the Boston Globe, the International Herald Tribune and the Vancouver Sun. 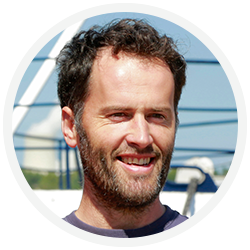 Dr. Tom Catchpole is manager of the Applied Fisheries Science and Technology Group at Cefas and senior science advisor to the UK Government on discard mitigation and the landing obligation. He conducts research in the fields of fishing gear, fisheries data and discard survival and leads and participates in a variety of national and international collaborative projects. Also, he is a member of the EU Commission’s Scientific, Technical and Economic Committee on Fisheries (STECF), an active member of the FAO/ICES fishing gear technology group (FTFB) and co-chair of the ICES Workshop on Methods to Estimate Discard Survival (WKMEDS). He holds a Degree in Biological Sciences awarded by the University of Alcala of Madrid in 1975. He joined the European Commission in 1986 to work as a Desk Officer in the Directorate-General for Fisheries. He then left in 1990 to become the Director General for Fisheries and Aquaculture in the Galician Regional Government. 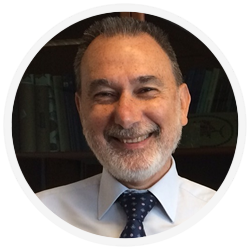 Rejoining the European Commission’s Directorate-General for Fisheries in 1993, Mr. Penas Lado became Desk Officer for the negotiations in the Regional Fisheries Management Organisations and in 1997 became Deputy Head of Unit in the same unit until 2003. From 2004 to 2008, he was Head of Unit for Conservation Policy and then Head of Unit for the Common fisheries policy and aquaculture up to 2009. From 2009 he was Director for Baltic Sea, North Sea and Landlocked Member States and from 2010 Director for development and co-ordination in charge of the reform of the CFP (2013-2014). He is currently principal adviser of CFP Policy Development of the DG Maritime Affairs and Fisheries. 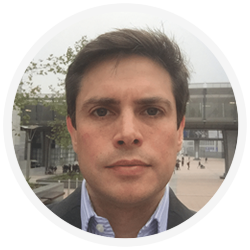 Ernesto Penas Lado was joining the Center for West European Studies of the University of Washington (Seattle/USA) for the 2016-2017 academic year as a visiting EU Fellow through the Jean Monnet Project. Juan Santos is a Senior Researcher at Thüenen Institute for Baltic Sea Fisheries in Rostock, Germany. He conducts research in the fields of bycatch reduction, development and testing of fishing gear technologies, experimental sea trials and assessment of species/size selection and relative catchability of fishing gears. He has more than 12 years of experience in fisheries science, from the collection of basic fishing data in commercial vessels to preparation of peer reviewed publications and participation in international projects. He received his Ph.D. in Marine Science by the Polytechnical University of Catalonia in 1995. He has published more than 100 scientific contributions in specialized journal articles or books.
. He is Tenured Scientist at the Spanish Council for Scientific Research (CSIC) since June 2007 and responsible of the research group Fisheries Bioeconomic Modelling at the Marine Science Institute of Barcelona, working on the structure, dynamics and conservation of marine living resources, with a special interest on higher trophic levels, which are directly or indirectly subject to human activity in marine ecosystems. 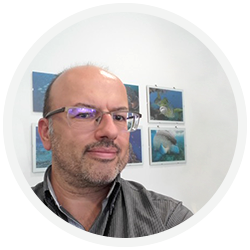 He is currently the coordinator of the European research project MINOUW (minouw-project.eu), a Research and Innovation Action of Horizon 2020, investigating technical and bioeconomic solutions to mitigate the discards problem in European fisheries. He has experience working as Fishery Industry Officer (2009 – 2017) at the Food and Agriculture Organization of the United Nations (FAO). From 1996 to 2009, he was Head of Unit for Fisheries Research Unit at Finnish Game and Fisheries Research Institute (FGFRI). 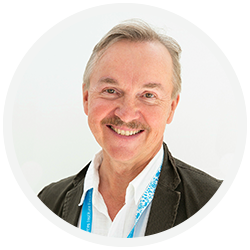 He has contributed with more than 160 presentations in International symposiums, conferences, workshops and meetings. 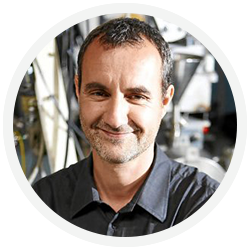 Jean-Pascal Bergé currently holds a position as Scientific Director at IDMer (Resource & Development Centre in Seafood Technology) after spending 20 years at IFREMER as senior scientist and laboratory director. He has been responsible for 15 PhD thesis supervision during the lasts years. He is treasurer of the European Society of Marine Biotechnology. He is involved in working on a better use of biological resources by maximizing their value. Enthusiast and dynamic he believes in open-innovation and frugal-innovation principles to ensure product development while preserving the resources. She holds a Degree in Pharmacy awarded by the University of Navarra (Spain), Diploma of Specialized Higher Studies in Food Microbiology (University of Lille, France) and DEA in Food Industries Management (Institute San Telmo, Spain). She is involved in R&D&I activities and technology transfer to the food industry, particularly in the SME area, concerning quality issues and product development. She has published 75 articles and is co-author of 5 new food products patents. Her research interests are focused on authentication, traceability and sustainability of the food chain, and prospective analysis of trends for the food sector. 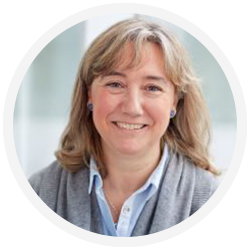 She has been responsible for 100 research projects, management team member of 15 European projects, coordinator of two European projects of the FP7 and external evaluator in the Food, Nutrition & Health area for DG Research-European Commission.